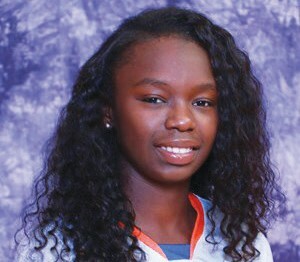 Former Savannah State volleyball player Jademone Jones recently signed a professional contract to continue her volleyball career. The outside hitter will play for Degerfors Volley Orion in the Swedish top league. In her four year career at Savannah State, Jones played in 78 matches and 155 games and had 102 kills, 35 digs, 24 blocks and four assists. Edric Poitier, head coach of the SSU volleyball team described Jones as being “very athletic”and added that this is good exposure for Jones as well as the program. The 5-foot-9 Jones, who also played basketball at SSU earned her bachelor’s degree in criminal justice from Savannah State. “I’m beyond excited about coming to Sweden and playing in Elitserien,” said Jones when asked what she thought about going to Sweden. “I did my research and I think the league is going to be very competitive. Although the league is competitive I believe that I will be able to fill the shoes that my team has for me,” she added. The 23-year old Savannah native is a graduate of Beach High School and is the daughter of Latriviel Duncan and James Jones Jr.
Former University of Alabama Birmingham men’s basketball standout Chris Cokley has accepted an invitation from the Charlotte Hornets to participate in the upcoming 2018 NBA Summer League at the MGM Resorts in Las Vegas, Nevada. The Summer League, which begins on July 6 and concludes with the championship game on July 17, will be broadcast on the ESPN Family of Networks and NBATV. Cokley burst onto the NBA scene following a dominant performance at the Portsmouth Invitational Tournament, where he averaged a double-double in three games and helped his team reach the title game. Over the course of the tournament, he led his team in rebounding in all three contests and averaged 10.3 points and 10.3 rebounds overall, which was good for fourth overall in the tournament. The former Blazer finished his senior season ranked seventh in Conference USA in scoring with 16.9 points per game, which included 10 games of at least 20 points en route to earning All-Conference USA First Team accolades. He also proved to be one of the most efficient players in the league as evident by his .582 field goal percentage, which was good for fourth-best in the conference and 26th in the NCAA. He also ranked 11th in Conference USA with an .819 free throw percentage. Cokley emerged as one of the top rebounders in the league and stood second in the conference with 8.7 boards per game, while leading Conference USA with 3.1 offensive rebounds per game. He also paced the league and ranked 24th in the NCAA with 14 double-doubles, which included a stretch where he registered a double-double in four of five games. 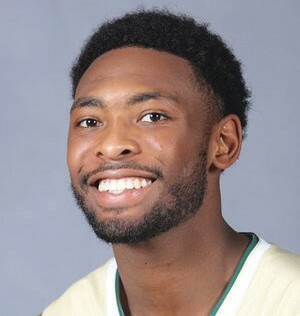 The Savannah native, who prepped at Savannah High, finished his career at UAB third all-time in scoring (1,660), second in rebounding (857) and second in field goals made (678) in 134 career games played.